About Philip S. Message Philip S.
Philip was wonderful. Very responsive to my emails before the trip, and right on time picking us up. He even provided car seats for my kids. We had very interesting and engaging conversation during the car ride about Bulgarian history, food, culture etc. He was very accommodating and completely open to changing the itinerary to suit us. The sights he brought us to were beautiful and we really enjoyed ourselves. Philip was very friendly and generous, and were so glad we picked him as our guide! TOUR GUIDE RESPONSE: Dear Kristen, It was so nice to have your family on this tour with me! It was my real pleasure showing you some little of the natural beauties of Bulgaria and even more I enjoyed having your questions on different matters on Bulgarian history and economy, on our recent past - Socialism, etc. I hope your journey in Europe has proven very interesting and that it was also nice for the children and you learned a lot about Eastetn Europe. Thank you once again for being on the tour with me! Warmest regards! TOUR GUIDE RESPONSE: Dear Sir, It was my pleasure showing you around my native city! Thank you so much for booking my tour and I hope it has made you think on returning to Bulgaria! Warmest regards!! Outstanding! Philip is deeply knowledgeable about world history and Bulgarian culture and eager to learn from his guests as well. Our conversation was just as enjoyable as the tour itself. He's thoughtful, well prepared, and willing to work with each guest ahead of time to ensure the best possible experience. We had a great day with him. I'd book Philip any time for any destination in the Balkans. Be clear about what you want and he'll make it happen. We toured with Philip and brought along our three, young children. Philip was very helpful with our children's needs, found us a great restaurant with a play area, and even had videos for us to watch in the van. He was knowledgeable and kind and we enjoyed our day. He was on time to pick us up and even provided water. Everyone who visits Bulgaria should take this tour. Phillip loves his country and will share his knowledge with you. I loved this tour and our guide, Phillip was excellent. The north side of Bulgaria is a very special place to visit. Let Phillip show you this side of Bulgaria. Thanks, Phillip. An amazing tour. Phillip is a very knowledgeable guide. The north side of Bulgaria is a very special place to visit. I highly recommend Phillip as a guide. Philip is a great guy to tour with, my wife and I very much enjoyed our tour. He is knowledgeable, very attentive and kind. I highly recommend him. Thank you for your service again! Philip gave as an outstanding tour of Skopje. He has a remarkable understanding of the complicated Balkan histories and has a great ability to translate the detail to your level of interest. It is a LONG drive, but he kept it lively and had a few informative videos he shared on the car's entertainment center. An excellent day and we'd highly recommend him. TOUR GUIDE RESPONSE: Dear Ben, Thank you very much for booking this tour with me - I was very glad to introduce some local history and show you around Skopje! Meeting travelers like you is always a great pleasure and sharing my experience and knowledge is as if my self am doing some travel! All the best in your journeys in life and around the world! Philip picked me up from the airport and then I enjoyed a 6 hour tour around the centre of Sofia. He have me lots of information on the history of the country/town. We were able to tailor the sites and durations at these acoording to my interests. He then dropped me back to the airport for my onward flight. Our tour with Philip was perfect! He met us exactly at the prescribed time, driving a nice clean Toyota minivan. He took us to a lot of great sights in Sofia, providing an abundance of historical information as we toured. Had a nice lunch at a great restaurant he selected. We enjoyed his company. We have taken many tours in many countries, but he stands out among the best we have experienced. Thanks Philip for a great time in Sofia! Philip was an excellent guide for our day trip from Sofia to Skopje. He is very friendly and knowledgeable and shared some fascinating details of both countries with us. The time in Skopje was well structured to give us a great taste of the city and he shared some traditional Bulgarian music with us on the journey home. We had a great day and I thoroughly recommend Philip if you're looking for a guide in Bulgaria! My daughter and I visited Skopje and Thessaloniki with the tour guide Philip. Both tours were really amazing, Philip is a very nice guy, so intelligent, patient, an excellent guide, very professional, he is extremely knowledgable about all places that we have visited with him. I higly recommend him to anyone. I have already booked some guided tours in other countries and to be honest Philip was the best. He made us a great surprise, he showed us the Osogovo Monastery, an amazing place! Thanks from Brazil! Philip was an outstanding tour guide. He arrived on time, was extremely knowledgeable about Bulgaria and the two sites - Rila Monastery and Boyana Church - we visited, was an excellent driver, had a great sense of humour and answered all our questions patiently and well. He also speaks excellent English. Our group of six would highly recommend him to other travellers. TOUR GUIDE RESPONSE: Dear Katherine, Thank you for taking a tour with me and having such a nice comment on my tourguiding for you and your friends! Hopefully I managed to present my country in a way that will make you come back and visit more places, discovering even more about our historical heritage, our culture and our traditions! Thank you again and hope that you had a nice boat trip! Philip was personable, professional, gave us a myriad of different topics and information in a casual and enjoyable manner. Was like spending time with a friend... appreciated his time and efforts. Would certainly recommend using him for a listed or customized tour. We had a great day with Philip seeing more of Bulgaria's natural wonders! Philip is incredibly knowledgeable about Bulgarian history and very open and easy to talk to about current affairs in the country. We loved seeing Krushuna Falls and Devetashka Cave so much that we opted to go instead to Saeva Dupka cave rather than the Troyan Monastery. Philip was also willing to help us arrange an airport taxi for very early in the morning later in the week, which was greatly appreciated & beyond our expectations! TOUR GUIDE RESPONSE: Dear Alexa, It was my pleasure to show some of my country natural sites and to be able to introduce you in brief the Bulgarian history! It is always nice when customers like yourselves are real travelers and are ready to explore and to find even more than initially planned! Thank you once again and feel welcome back again to Bulgaria!! Philip is a person who enjoys traveling, and therefore, he DOES understand what a traveler and a tourist would like to hear, sense and experience. He has an 'eye' to people and their personalities, and accordingly, he tailors his behaviour and tours. He is like a mine of diamonds … you have to dig, to get the diamonds out. So, please ASK him anything .. you will be amazed with his vast knowledge, and friendly personality. As for the sites we visited, it deserved every bit of our time. TOUR GUIDE RESPONSE: Dear Joyce, by my understanding travel is for people who feel the nesesity to enrich their knowledge, to be dynamic and adaptable while bearing their own identity and learning about other cultures making the connections between them. I chose my profession hoping that I will meet people with wide open eyes and mind to appreciate anything they see - just like yourselves and this is my biggest reward! Thank you for the very kind words and the recommendation! You know you have a friend in Bulgaria! Fantastic tour with an excellent tour guide. Thank you! Philip knows a lot about the country and its sites and shares his information with you whenever he can. I learned a lot and had very much fun. Throughout the whole day it got never boring. Personally he's a very friendly and kind guy and made me (as a single traveling woman) feel very comfortable. Additionally he takes good pictures to memorize your trip. I would book a tour with Philip again any time. Highly recommended!! TOUR GUIDE RESPONSE: Dear Karina, It was extremely nice having the chance to show you the Magura cave and the Belogradchik Rocks ;) ! It is always a pleasure to introduce my country to travelers who are appreciative and even more - eventually we become friends! Thank you for the very kind words - it was a great pleasure traveling with you!! I woyld like to share my appreciation and thankfulness to Philip. Philp has guide my family and myself for 2 days and was very proffentional and demostrated an impressive knowledge in Sofia and Bulgaria's History, Geography and Archeology. Philp's kindness, dedication and passion for his work are outstanding and remarkable. He speaks English fluently and very easy to understand. During these amazing 2 days it felt like Philip was a part of my family. I recommend on Philip with all my heart! TOUR GUIDE RESPONSE: Dear Adi and the whole family - I was feeling quite privileged to become in a way part of your very special visit and for me it couldn't be better - the combination of working and meeting nice and positive people, interested in my native Sofia is what makes me love my profession! Thank you so much!! You will enjoy your time with Philip. He knows the sights and the history. Take advantage and engage him in conversations about the conflicts over the centuries in the Balkans. I brought my amplifier so we could hear a guide talking in front seat. He had his own demonstrating his experience and drive to do the best. Our guide from Romania brought us to the border, and Philip picked us up. This is best method to get from country to country. Philip designed and conducted a tour to our desires. YES! TOUR GUIDE RESPONSE: Dear Andy and Liz, traveling in Bulgaria with you was more than a job for me - I had in my car nice and smart people, very much appreciative of all that Bulgaria can offer to a traveler and I greatly enjoyed providing my services to you! Thank you for the nice comments - this means a lot to me! Wonderful day trip. Landscapes are fantastic like fairy tales. Nature is beautiful. Our guide Philip was great. He gave us lots of explications about the places where we went, it was very interesting. He gave us enough time to take some pictures and to enjoy. Lots of thanks to Philip for this wonderful day trip, we realley enjoyed it. TOUR GUIDE RESPONSE: Dear Sara, I need to thank you for booking with me and for the nice company - it is always best to provide a tour to nice people, then traveling is a real pleasure! Wonderful tour! Thank you so much for being accommodating! Great tour for both experienced and inexperienced travelers. TOUR GUIDE RESPONSE: Dear Christina, thank you so much for booking with me! I am glad you enjoyed your very special visit to Bulgaria and it was a pleasure meeting your family!!! Philip is an excellent guide. Completely professional, exceptionally knowledgeable, attentive, and with a good sense of humor. I recommend him highly. TOUR GUIDE RESPONSE: Dear Janja, Thank you for the very kind words - I am happy when my customers are happy! Hopefully you will come back to Bulgaria and have even a longer tour and more experience here! Philip is an extraordinary guide. He knows Bulgaria, its sites, and its history very well. His English is superb (including accent!) He is unusually kind and generous. Philip has dedicated to us as much time as we wanted, which made some of his days as long as ten hours or more. He went out of his way to show us Bulgaria, and quickly learned our interests. Philip is very personable with good sense of humor. My wife and I travel a lot, and we both agree that he is one or the best guides we've ever had. TOUR GUIDE RESPONSE: Dear Uriel, Traveling with you was not only work but also a pleasure - the best possible combination, and I have to say I admire your wilingness to taste Bulgarian cuisine again, to learn the relations between the different languages, and to visit some places which were somewhat less popular, but wonderful! Thank you for your great reference about my job - I am most happy when my customers are and when they turn into friends! Excellent guide, nice person that made us feel at home. Very knowledgeble I will recommend him without any doubt. In four days of travelling together you get to know a lot about someone, and we learned that Philip is probably the best guide possible. His English is excellent and his knowledge extensive. With patience, flexibility and concern that we have the best tour possible he delivered an unforgettable Bulgarian experience. He gave us not just a wonderful view of this beautiful country and its many attractions, but the feeling that we had made a great new friend there as well. Philip is more than just a tour guide, a tour with him is like spending a day with your very good Bulgarian friend. He is extremely knowledgeable about the history, customs, culture, and geography of every region in Bulgaria. But more than that, by the end of our day together, we felt that we had made a new friend. Our tour with Philip went above and beyond anything we could have expected, and we learned so much about this beautiful country. TOURSBYLOCALS RESPONSE: Thank you for the wonderful feedback. Your experience with Philip highlights exactly what we strive for at ToursByLocals: to facilitate enjoyable, meaningful travel experiences between guides and travelers. Philip is awesome! I doubt there is a better choice out there. Personally, he is kind, friendly, and warm. He treated us like his own friends, and went above and beyond to ensure that we had a great time. Professionally, he is flexible, knowledgable, and passionate for his country. It will be hard not to fall in love with Bulgaria, with Philip as your guide. Before my trip, he spent a lot of time "listening" to what I wanted, and custom-designed the ideal itinerary. He truly cares about his clients. TOUR GUIDE RESPONSE: Dear Lucy, It was a great pleasure introducing to you my country in a different manner! 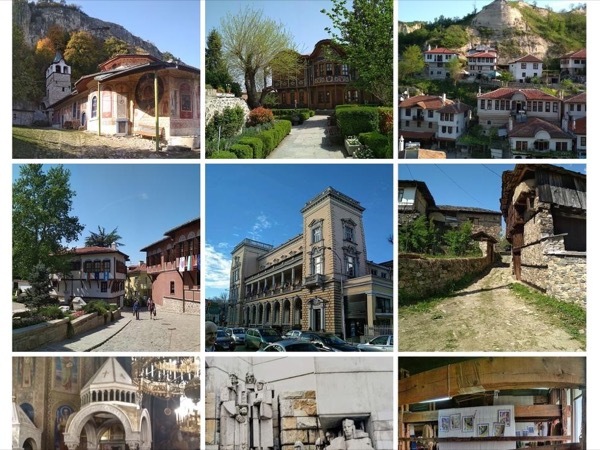 Obviously experienced travelers you and your friend made this three days more than a job - with your knowledge and attitude you turned it into a lovely time, finding out about Bulgaria and Macedonia's history and natural beauties! Thank you! Flexible, and always think of the needs of the customers. Highly recommended. TOUR GUIDE RESPONSE: Dear Wilson, Thank you for your great and very serious interest in Bulgarian best product and also for the very nice 8 days! I wish you success and hope that we'll meet again! Philip did a great job showing me around Skopje, Macedonia, with follow on movement to Sofia. Philip also did a short tour around Sofia to help me get acquanited with the area. Easy to talk with and knowledgable on the area, was willing to take the time to ensure that I had a good overview of two cities in two countries. I have just come home with a wonderful memory of Bulgaria, because our guide Philip was there. His proper explanation was very helpful for us to sightsee the Bulgarian historic sites. He also booked some hotels for us and took us to nice local restaurants. We liked all of them. Philip was very considerate to us ,so we were very comfortable throughout our stay in Bulgaria. I am sure I was quite right to have chosen Philip as our tour guide. TOUR GUIDE RESPONSE: Dear Kyoko-san, dear Masako-san, The trip around Bulgaria with you was one of the commemorable ones for me! Every day your attitude and interest were making me even more proud with my country and of course like you I learned something too :) Again a big "Thank you" for choosing me, and of course - hoping to see you soon back to Bulgaria!! Philip is a superb guide for Sofia. He is enthusiastic and very knowledgeable about Sofia in particular and Bulgaria as a whole. If I return to Bulgaria I will definitely use Philip again and would thoroughly recommend him as an excellent tour guide. Best Value by far! Highly recommend. Marvelous tailored tour; delightful but reasonable accomodations. Very personnable, extremely knowledgeable, always accomodating, execellent English. Made us feel right at home - we didn't have to worry about a thing. We will definetely re-engage for our return trip. He truely made our trip a memorable and awesome experience. TOUR GUIDE RESPONSE: It was one of those jobs when I felt I had all the chances to show the best of my country with the whole pleasure to explain to you - all interested, all absorbing the information and willing to feel as if at home! Thank you so much for your kind attitude and willingness to learn about Bulgaria!! An excellent day, informative, spectacular, and Philip was very good company. TOUR GUIDE RESPONSE: No matter how often I visit the place, and it is not just a job, but much more, when one can proudly show the history and culture of his country history to people, who appreciate it!! A great route around a fascinating city, full of historical and religious detail, delivered in a relaxed style. TOUR GUIDE RESPONSE: Dear Keith and Veronika, thank you for the nice time spent in my city! I'm really glad when a passionate and experienced travellers can feel the atmosphere of Sofia, like you did! A great day out. Our guide gave excellent background information on Bulgaria as well as detailed history and insight into the Monastery, the many paintings and Artifacts. Thoroughly recommended. TOUR GUIDE RESPONSE: Dear Jason, it was really a very pleasant visit to the Rila monastery! I really do appreciate the interest shown by your family! You are welcome back!! Great Tour - we really enjoyed it!! TOUR GUIDE RESPONSE: Thank you Erik and all your friends - your appreciation of Sofia and Bulgaria is very important and makes showing visitors around a real pleasure!